Why Choosing Acupuncture as an Alternative Medicine for Musculoskeletal Issues is The New Way to go! Acupuncture is a Traditional Chinese Medicine that uses the technique of inserting needles through the skin at specific points of the body. The initial purpose of this method was to balance the flow of energy throughout the body. This practice can be found in numerous places such as hospitals and healthcare facilities. The world of medicine is constantly working on new initiatives towards the development of better treatment. Specifically musculoskeletal has become the new platform to receiving acupuncture as an alternative medicine. Here are reasons why choosing acupuncture is the way to go for individuals who are suffering from musculoskeletal issues. Pharmaceutical drugs can be costly. Whether an individual has insurance or not purchasing medication that works occasionally can become tiresome on anyone’s budget. The pharmaceutical world has offered many people a cheaper option such as generic versions of medications, but some may not have this option. While some medications vary in prices from $7 to $30 dollars a month for generic or real brand; a person who is dealing with co-existing conditions may find themselves shelling out between $100 - $800 a month per medication. Between medical cost for doctor visits and monthly pill prescriptions It is likely that someone will be looking for some relief on their wallet. The medication does not work. There have been several reports made about the lasting effects of medication in relation to relapses.This can be an indication that the “go to” medicines are not working well enough. Consumer reports found that at least a third of people who have taken pain relief drugs benefited very little to none at all on their prescribed medications. However, some of these individuals seeked out alternative options to treatment. 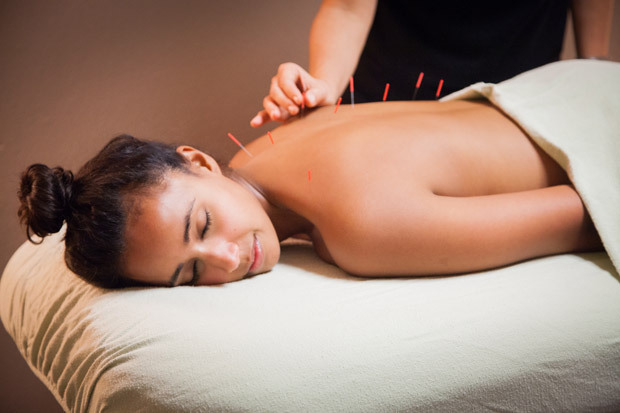 Acupuncture and massage therapies have been used by several victims of acute and chronic pain. Acupuncture has less severe side effects than prescription drugs. Some of the most common side effects to acupuncture is lightheadedness, soreness, muscle twitching and fatigue. Depending on the medication the side effects can be greater in severity. Pain numbing drugs side effects range from constipation, restlessness, uncontrollable movements, seizures, low blood pressure, sexual dysfunction and low white blood cell count. It should be taken into account, that some individuals are suffering from coexisting disorders, which means the prevalence of this side effects are greater for them due to taking multiple medications.